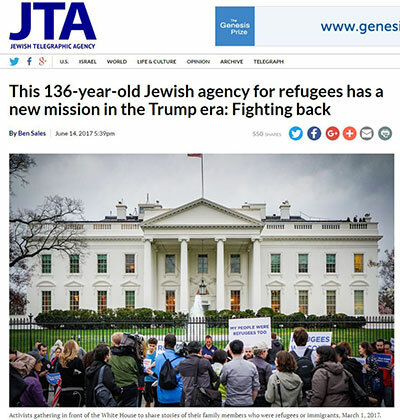 On June 14, a week before World Refugee Day, JTA published a detailed profile on HIAS’ roots and rapid evolution under the Trump administration. And as JTA points out, HIAS’ work is supported in large part by the commitment of the American Jewish community to welcoming refugees. To read the full article on JTA.org, click here.